NYSC Batch C Posting and Deployment Letter have been released via www.portal.nysc.org.ng. Prospective corps members can now print their Posting and Deployment Letter via online. Print now! Yes at last, the management of the National Youth Service Corps (NYSC) has released the 2018 NYSC Batch C Posting and Deployment Letter. It is important for registered corps members to check their 2018/2019 NYSC Batch C Posting and Deployment Letter. Those posted are to report before at their place of deployment on Tuesday 23 October. 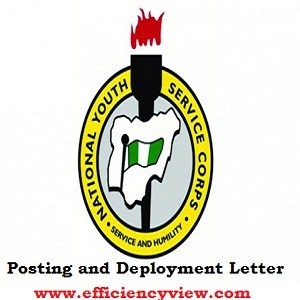 NYSC Batch C Posting and Deployment Letter 2018/2019 out! Pls in my ppa we re being asked to print out our posting letter From online and I have checked my dashboard severally BT CNT see it. D problem s DAT if I dnt print it state won’t pay me.